If our patients are not getting enough sleep, it can lead to health problems. According to a recent study published in the Journal of the American College of Cardiology, there is a potential link between getting 6 hours of sleep a night and atherosclerotic lesions–the buildup of cholesterol in the wall of your blood vessel–in different blood vessels of the body. This buildup can keep growing larger, progressively narrowing the vessel. Picture reducing a four lane highway to three, two, one or even no lanes. That is what happens to blood vessels when patients get 6 hours of sleep or less a night. What happens to the blood vessel? When the blood vessel gets too narrow, it can no longer provide enough blood and oxygen to whatever parts of the body depend on the blood vessel. This might be your heart, your brain, your kidney or any other part of your body. Plaque can also break off and travel through your bloodstream, which can continue to cause further harm to your health and well-being. There is a growing body of evidence that less and worse sleep could increase your risk of cardiovascular disease. When you sleep, that is the time for your body to heal and restore itself, which can include fixing the damage in your blood vessel walls. 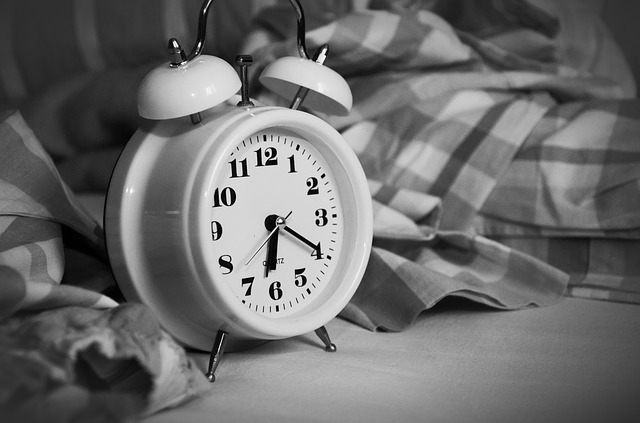 The researchers used statistical analysis to determine if there was an association between sleep length or quality, and the presence of atherosclerotic lesions. The results were not good for those individuals who only sleep for a short period of time. For those who got less than six hours of sleep a night were 27 percent more likely to have atherosclerotic lesions in various arteries than those who got seven to eight hours of sleep a night. The 20 percent with the worst quality of sleep were those who woke up the most and had the most movement in their sleep. These individuals were 34 percent more likely to have atherosclerosis compared to others who got better sleep. It is important that we help our patients get a better night’s sleep to ensure their overall health and well-being. Why should dentists treat sleep apnea? Most of the time, people who have sleep apnea are not aware of their symptoms because they are asleep when they occur. If your patient is unaware of his or her sleep apnea, you may be able to identify particular physical symptoms. As a dentist, you play a crucial role in the diagnosing and treating sleep apnea. By understanding sleep apnea and by helping patients to treat sleep apnea, dentists can save many lives. What is the negative effect of not treating sleep apnea? Despite having clear signs and symptoms, many patients with obstructive sleep apnea go undiagnosed. In return, when a patient is finally diagnosed with obstructive sleep apnea (OSA), he or she has had obvious symptoms of the disorder for an average of seven years. During those seven years, patients report visiting their family physician about 17 times and a subspecialist about nine times. When sleep apnea goes undiagnosed, patients begin to experience a range of worsening symptoms and health conditions. By properly educating yourself and your practice, you can better diagnose and treat sleep apnea in your patients, which helps improve their overall health. What are the complications associated with sleep apnea? High Blood Pressure. OSA can contribute to high blood pressure in people who have it due to frequent wakings at nighttime. This causes hormonal systems to go into overdrive, which results in high blood pressure levels. Heart Disease. OSA can also lead to heart attacks, which can cause people to die in the middle of the night due to low oxygen or the stress of waking up frequently during sleep. Type 2 Diabetes. Sleep apnea is very common among people with type 2 diabetes, which can also lead to obesity. Acid Reflux. 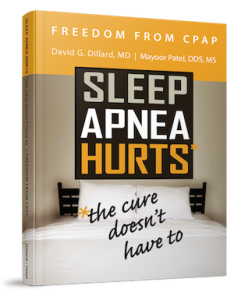 While there is no proof that sleep apnea causes acid reflux or persistent heartburn, it has been shown that people with sleep apnea do complain of acid reflux. As a result treatment of sleep apnea appears to improve acid reflux and vice versa. Obesity. The addition of weight raises the risk of sleep apnea, while losing weight can help cure sleep apnea. What is the financial burden of sleep apnea? Sleep loss and sleep apnea affect an individual’s performance, safety and quality of life. Almost 20 percent of all serious car crash injuries happen because of driver sleepiness, independent of alcohol. Additionally, sleep loss and sleep disorders have a significant economic impact. The high costs of untreated sleep apnea are far more costly than what happens when delivering adequate treatments. Each year, we are spending hundreds of billions of dollars on direct medical costs associated with doctor visits, hospital services, prescriptions and over-the-counter drugs. When compared to healthy individuals, those who suffer from sleep loss and sleep disorders are less productive. These individuals also experience an increased health care utilization and an increased likelihood of accidents. It is important to treat sleep apnea as a dentist. If you treat sleep apnea, you can help to improve your patients’ overall health and well-being. As dentists, we want to know everything we can about how to treat our patients. And as dental sleep medicine specialists, that means the sleep apnea facts. To help you better understand the needs for providing our patients with sleep apnea treatment, I have compiled some helpful–and interesting–facts. Here are some sleep apnea facts you can bring back to your team and your patients. On average, a patient goes 7 years without proper treatment. During those 7 years, patients visit their family physician about 17 times and subspecialists about 9 times. Undiagnosed sleep apnea causes worsening of symptoms and health conditions. Sleep loss and sleep apnea affect an individual’s performance, safety and quality of life – causing a financial burden on healthcare and productivity. Almost 20% of all serious car crash injuries in the general population are associated with driver sleepiness. When sleep apnea is not treated, it is far more costly than it would be to deliver adequate treatments. Each year, hundreds of billions of dollars are spent on direct medical costs. Compared to healthy individuals, those who suffer from sleep loss and sleep disorders are less productive. Today, most patients do not go under surgery for treatment. Instead, most are treated with an oral appliance as the leading form of sleep apnea treatment due to their convenience and ease of use. The availability of custom-made oral appliances ensures accuracy and the best results. The largest numbers of patients that suffer from sleep apnea are in the mild to moderate categories, which should be treated with oral appliances. Understanding the importance of oral appliance therapy is vital in the treatment of sleep apnea. Incorporating sleep apnea treatment into your practice, helps improve the services you offer in addition to helping improve your patients’ overall health. The best part about blogging is that your topics are limitless. This means you can write about just about anything that relates to you, your practice, important events, etc. Be sure to choose what people want to hear. An easy way to determine good topic choices is to think of questions that your patients commonly ask. You can use your blog as a way to answer each of these questions. And your patients can then visit your blog for answers to those questions. Let’s find out more about choosing blog post topics and making it work for you. When choosing blog post topics, search for other blogs in your industry. Look at popular blog posts to get other blog ideas. Viewing what other blogs are posting can help give you a good idea of what your industry likes to talk about and read. Additionally, in the past your blog and press releases were separate areas. However, blogs can now often be a better choice than releasing a press release. By using your blog for not only educational information, but to announce new procedures, upcoming events and other newsworthy topics, you can complete a well-rounded blog that reaches your patients. Blogging might feel forced at first, but over time you may begin to look forward to blogging and may even leave yourself notes as you think of new topics to share with your patients. Blogging is fun and can significantly improve your web presence and credibility, so start now! You will find that the rewards of blogging are worth that extra effort. I owe my success to active blogging. You might be thinking to yourself, “But Dr. Patel, you are always on the road or helping patients. Where do you find the time?” An active and up-to-date blog takes a lot of work, but it shows that you are an expert in Dental Sleep Medicine and other areas of dentistry. While I understand how you may not have enough time due to your busy schedule, I personally utilize a freelance blogger, Sara Berg. Through her efforts and help I have been able to maintain an active, engaging blog for my patients and other dentists. I highly encourage you to do the same in order to maintain an educational blog for your practice! If you are blogging, how do you choose your blog post topics? I’d love to learn how you make it work too!